The high-speed, square 25-micron pixel shortwave infrared (SWIR) Sensors Unlimited LDH digital linescan camera uses the new LC linear array, providing correlated double-sampling, integrate-while-read snapshot acquisition, and extremely low noise. 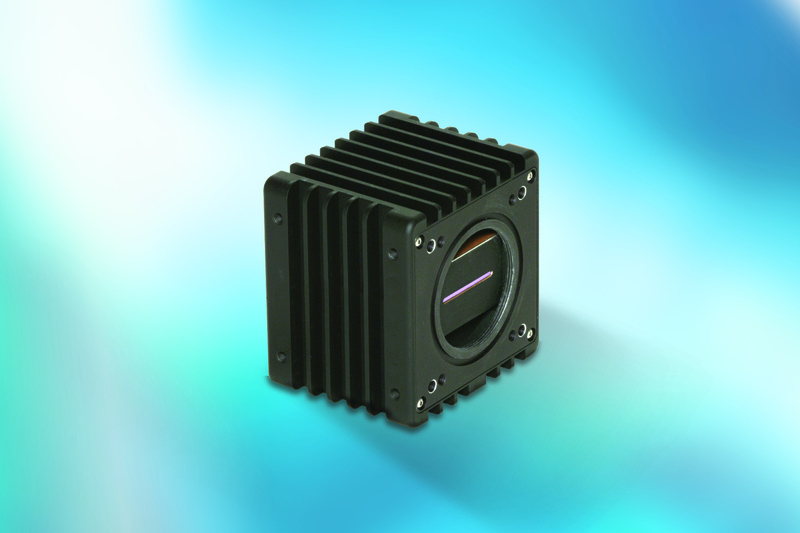 Sensors Unlimited - UTC Aerospace Systems introduces the high speed, square 25-micron pixel shortwave infrared (SWIR) LDH Digital Linescan Camera. It uses the new LC linear array, providing correlated double-sampling, integrate-while-read snapshot acquisition and extremely low noise. The 1024LDH camera delivers high dynamic range at frame rates greater than 46,000 lines per second and quantum efficiency greater than 70 percent from 1.0 to 1.6 microns. The square 25-micron pixels make this camera ideal for high-speed machine vision, to monitor continuous processes and moving objects. The solid-state detector requires no cooling and offers wavelength response from 0.8 to 1.7 microns. Many materials classification and sorting, inspection, and process control applications require longer wavelength spectral response than silicon-based, line scan cameras offer. The new SWIR camera images beyond the visible wavelength, providing added inspection capabilities which are key for moisture detection, plastic sorting, and many thermal processes. The 1024LDH Sensors Unlimited camera features 14-bit digital capture and is available with the widely-used Camera Link® interface for convenient and rapid system integration.